Francine (Frankie J)Tubbs is 45 yrs old. 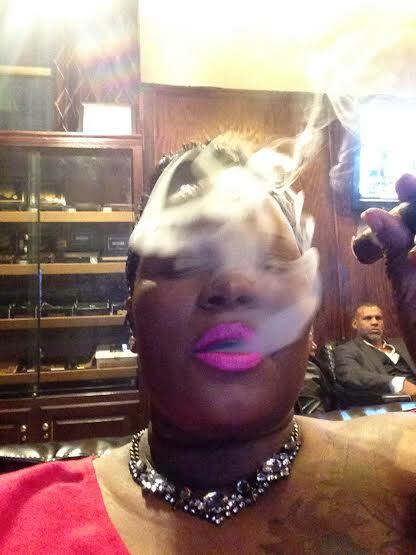 She works as a Develomental Support Specialist (mental health) even though she loves her job it can become very stressful dealing with the patients and that is why it is a must to have her 3 cigars a day and her golf time. when did you start to smoke cigar? I started cigars about 6 yrs ago. why did you start to smoke cigar? 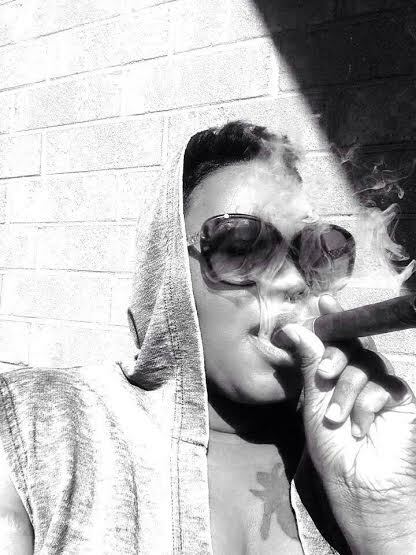 after the death of my husband I was introduced to cigars to relax and calm my nerves. how many cigars do you smoke during the day? I smoke 3 a day with the stress of a long work day. which is the best place you have smoked a cigar? even though I like cigar shop but my favorite place is the quietness of my balcony. what do you use to cut the cigar? how do you feel while you are smoking? I feel relaxed like I’m in a world all by myself. when do you light your first cigar of the day? what is the cigar for you? Every interview is different. Every interview give to meemotions. Thank you very much Frankie, long ashes. 2 Responses to "”Frankie J.Tubbs„"